Pop diva Katy Perry captured our hearts and minds with her contagious and provocative songs, and her larger-than-life chameleon style. It surely is a drastic change for the girl who started by singing songs that praise the Lord. Nowadays, her songs are all about praising love, aliens, partying and empowering women. But do not be fooled by her loveable big watery eyes: Perry does not meow, she roars. She takes her coffee with one teaspoon of sugar and her perfumes with a heavy dose of androgynous notes. Given her love for olfactory pleasures, and her favorite perfume’s designer, I think the song E.T. is actually an ode to Thierry Mugler’s popular perfume. 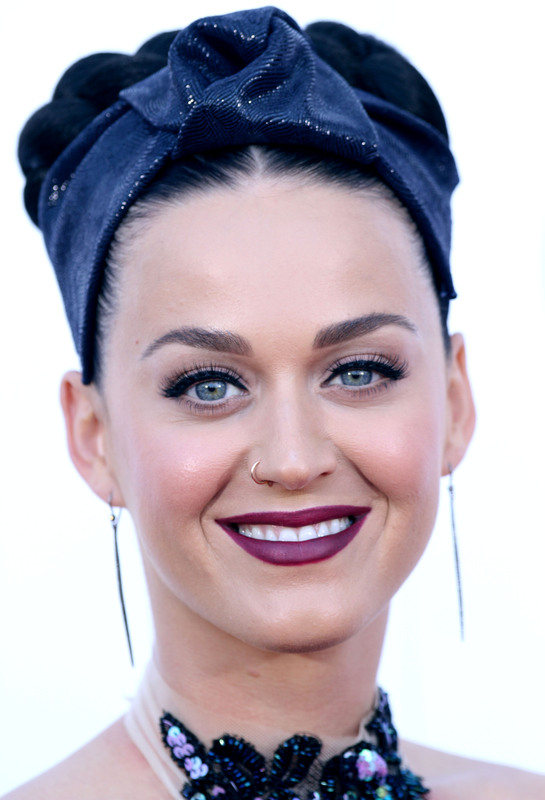 Katy Perry favorite perfume is Angel by Theirry Mugler! But she also has a soft spot for Thierry Mulger’s Alien as well! She says she loves Angel perfume because it is distinct. It’s interesting, creative, luscious. And I could not agree with Katy more. 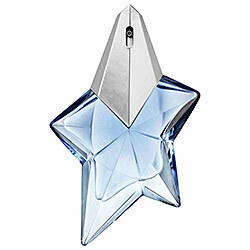 Mugler had a very different type of angel on mind when he created this perfume. This scent is an ode to the mischievous angel, the one that is not afraid to break boundaries, and be bold. The one that creates troubles from which happiness arises. Angel is a tsunami of patchouli, followed by a mouthwatering notes of sweet, warm and comforting caramel. It really is an unusual perfume, and a catalyst for conversation. It is, indeed, a love or hate perfume. Yes, it is a perfume for the female angels of the world, but the English leather notes add a bit of mystery and androgyny . This Thierry Mulger scent will stay on your skin for many hours, even resistant to leave you after showering. And since Katy Perry hates boredom, this perfume is like custom made! “I change my hair to keep me entertained! When you get bored, you experiment with beauty – that’s what girls do! I’m very English like that,” she says in an interview for British tabloid The Telegraph. It’s important to have a sense of humor when it comes to style, I try not to take myself too seriously,” she adds. And this is why Thierry Mugler Angel perfume is loved only by the women who understand that perfume is not just about being complimented by others, but it is a personal expression of one’s inner state and views on beauty. “I believe that your sense of smell is helpful in creating a lasting impression or a memory. Often, my first memory is based on a scent,” she says. “My first boyfriend would wear Acqua di Gio by Armani. To this day if anyone gets near me, whether they come into an elevator or I am meeting them for the first time and they are wearing Acqua di Gio, I can spot it. And it just brings me back to when I was 16,” Perry says in the same interview. The beauty in perfumes is that they can awake certain dormant memories. For a split of second, you are sixteen again, your knees are wobbling from the first kiss. No matter how imperfect it was, it will always have a name: Acqua di Gio!